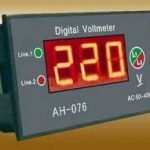 Unknown voltage is successfully compared with the output of digital to analog converter. 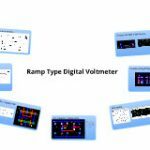 Unknown voltage is compared with either positive or negative going ramp. Output reading is obtained after successive decision taken by logic circuit. So the probability of error in output reading is more. Probability of error in the output reading is less. Output signal cannot be easily digitized. Since the output is in terms of time, this signal can be easily digitized. Speed of operation is less. Speed of operation is more. Resolution upto maximum 5 digits can be obtained. 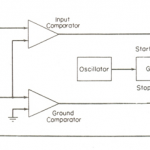 Resolution is directly proportional to the frequency of local oscillator and it can be improved by increasing this frequency. 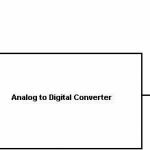 Accuracy depends on accuracy of internal reference and accuracy of digital to analog converter. Accuracy depends on linearity and slope of ramp. As well as it depends on stability of local oscillator.